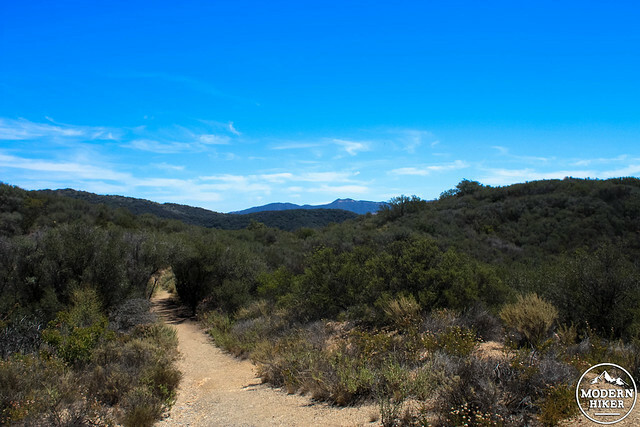 Hiking to Nicholas Flat from Leo Carrillo State Park is perhaps one of the most rewarding hiking experiences you can have in Southern California. 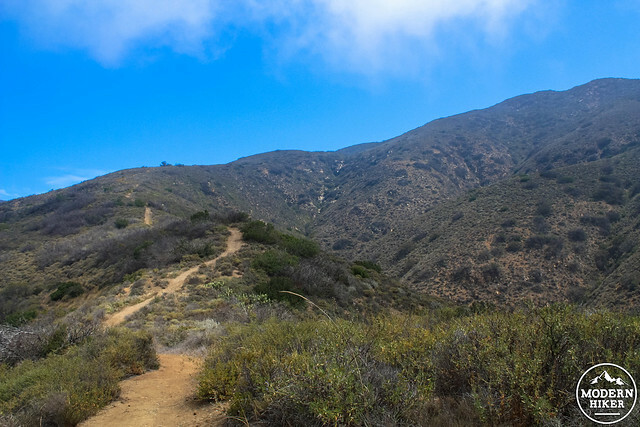 The trail itself is beautiful but challenging, rising through four different plant communities as it climbs almost 1700 feet from the Pacific Coast to the Flat, which has the feel of a tucked-away, hidden paradise far from the crowds at Leo Carrillo State Beach. The grasslands of the Flat are especially beautiful in the spring, when wildflowers fill the landscape with eye-popping color and (depending on rain) there may be seasonal streams or even a pond hidden in the mountains – but even in the summer, the remote beauty is a joy to experience … even if you find yourself muttering curses on the long, slow climb up. This trail begins at the developed trailhead just inside the main entrance to Leo Carrillo State Park. If you decide to park inside the official lot, you’ll be charged a hefty day-use fee ($14 at the time of writing), an unfortunate response to the constant slashing and mismanagement of the State Parks budget. You can, however, park for free on the Pacific Coast Highway if you don’t mind walking a short distance in either direction. If you end up parking ton the south side of the PCH, there is also a pedestrian underpass from the beach to the Visitor Center, so you don’t have to worry about playing Frogger on the way to your hike. 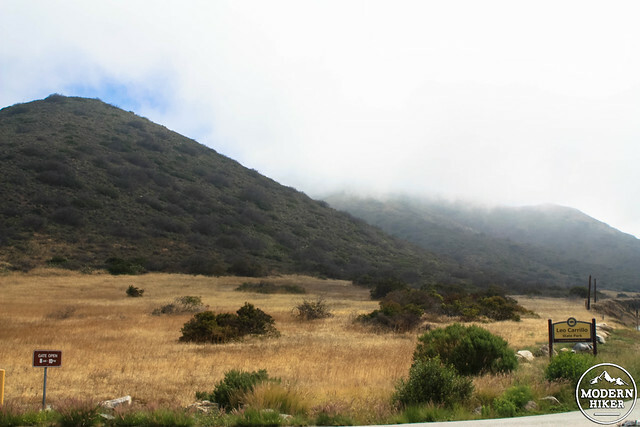 If you start early enough, you may even have some remnants of the marine layer helping to shade and cool your trek – a welcome addition on hot summer days. Just to the east of the entrance booth, look for a sign for a trail to Camp 13. A few hundred feet past this, you’ll reach the beginning of the Nicholas Flat Trail at the junction with the Willow Creek Trail. Both routes are about the same distance, although the Willow Creek Trail is slightly more steep. 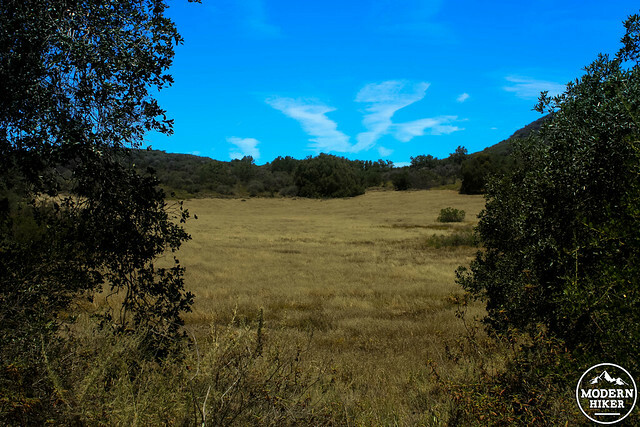 Read about the native California grassland you’re about to encounter on your journey on an information board and stay to the left to start your ascent on the Nicholas Flat Trail. The trail wastes no time in starting its ascent – and be prepared, because there are almost no breaks from the incline on this route until you reach the Flat – and no shade, either. 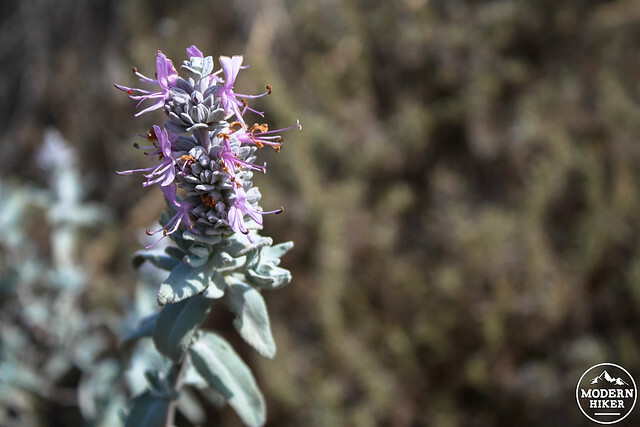 There are, however, some truly spectacular examples of purple sage along the way, often blooming late into the spring and early summer. 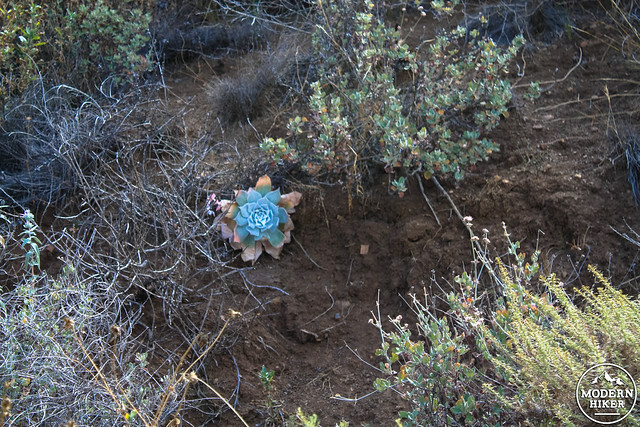 Also be on the look out for Dudleya species clinging to the crumbling sides of hills, along with the usual suspects California sagebrush, chamise, and laurel sumac. You’ll have nice views of the Pacific Ocean and the canyon of the Arroyo Sequit to your west as you make your way up this incline. At 0.9 miles, the trail tops out on a ridge at a four-way junction. Straight ahead is the Willow Creek Trail, to your right is a short firebreak trail to an overlook, and to your left … the long, hard slog to Nicholas Flat. This part of the hike isn’t necessarily the most fun, but you can break up a bit of the monotony by paying closer attention to the plants you’ll see along the way (again, easier in the spring when things are still in bloom). 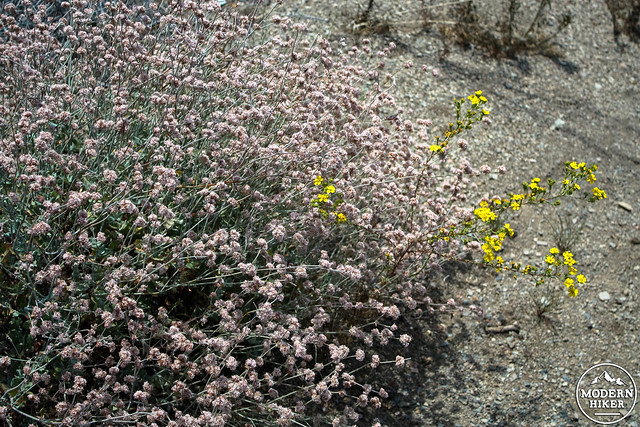 Coastal buckwheat and tarweed are very happy here in the sunshine, as are sprawling colonies of prickly pear cactus. 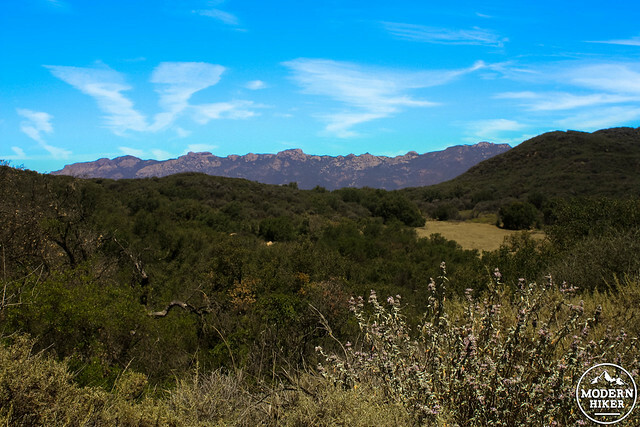 If they plants aren’t doing it for you, just hold on – as the trail increases in elevation, you’ll start to get some truly amazing, postcard-perfect views of the interior of the Santa Monica Mountains and the stately ridge line of Boney Mountain. Eventually, the trail does get into some thicker chaparral and some tiny sections of shade, but budget more time than you think you’ll need for this incline. It definitely took a bite out of me on the way up. By 2.3 miles you’ve done the bulk of your uphill work. Stay left at the junction with the dead-end of the Ridgeline Trail and take a right almost immediately afterward to head east (and not up on the northern section of the Ridgeline Trail). 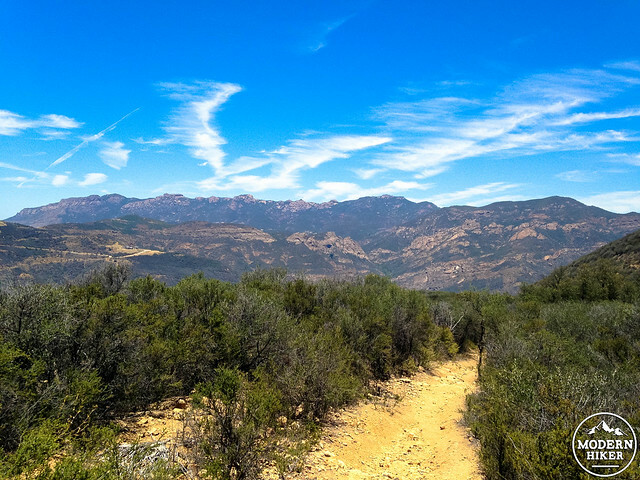 Stay right at 2.5 miles to continue heading east on the Nicholas Flat Trail as beautiful views of the coast and Santa Monica Mountains start to open up to your south and east. 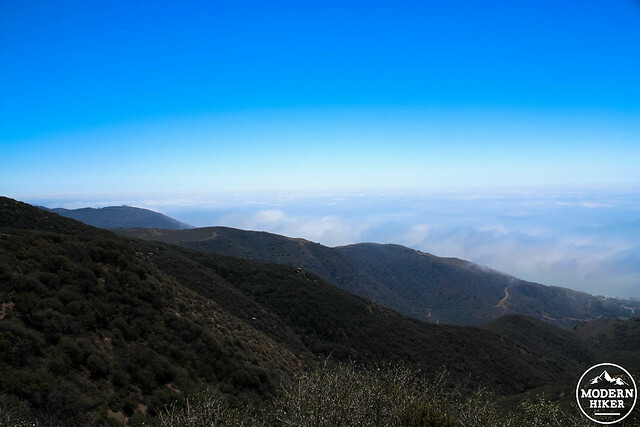 Depending on the time of day and year, you may get to see the remnants of the marine layer’s “phantom sea” along the mountains – or you may still be in it! The trail mercifully levels out here (and even descends a tiny bit!) and by 2.8 miles you’ll get your first glimpse of the region’s grasslands. Except for the sign you saw way back at the trailhead, there’s almost nothing on this hike that would lead you to believe there are huge swaths of open grassland prairies here, so coming on them is a very pleasant surprise. At the junction near the meadow at 2.9 miles, stay to the right to hike on the Pond Trail. This route makes a leisurely descent through some stately native oaks before resting the shore of Nicholas Pond. 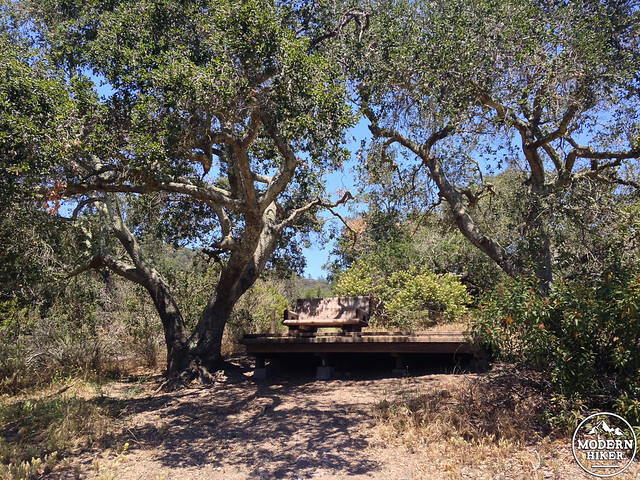 I’ll assume that in wetter years the pond is actually filled with water (you can still make out the bathtub-ring high water mark on some of the nearby rocks), but even if it’s dry, the small wooden deck and bench beneath two oaks is quite possibly the loveliest picnic spot in the entire Santa Monica Mountains. And even better, you may have the entire spot to yourself. After several years of drought, Nicholas Pond was nice and wet following the 2016-2017 wet season. Even in early 2018, when our usual wet season is currently lagging far behind our normal precipitation, a visit revealed a few pairs of ducks happily swimming. 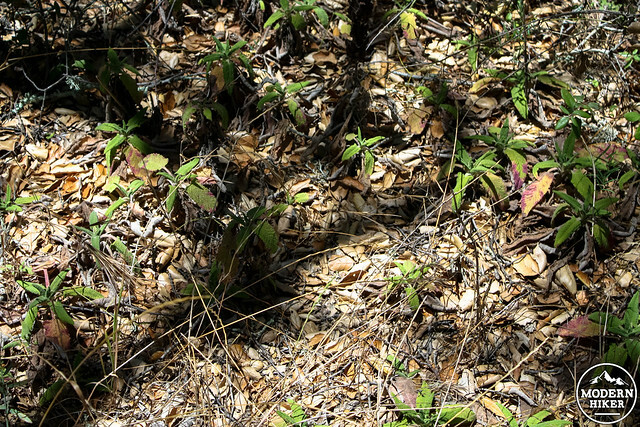 Lightly rub these leaves in your fingers to smell one of the most amazing scents you’ll ever experience … just make sure you steer clear of any poison oak that might be growing nearby! 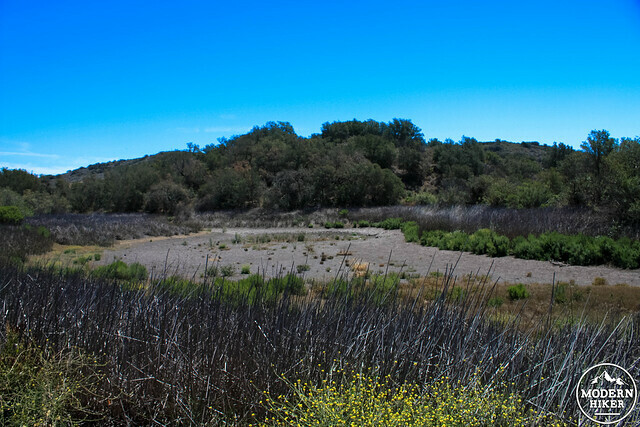 By 3.7 miles, you’ll return to the junction with the Pond and Nicholas Flat Trails. Just to the west of this, stay right at the junction with the Meadows Trail to get some up-close-and-personal time with the grasslands. At about the 4 mile mark, take a sharp left to head south on the Ridgeline Trail, your last bit of incline before the downward trip back to the trailhead. 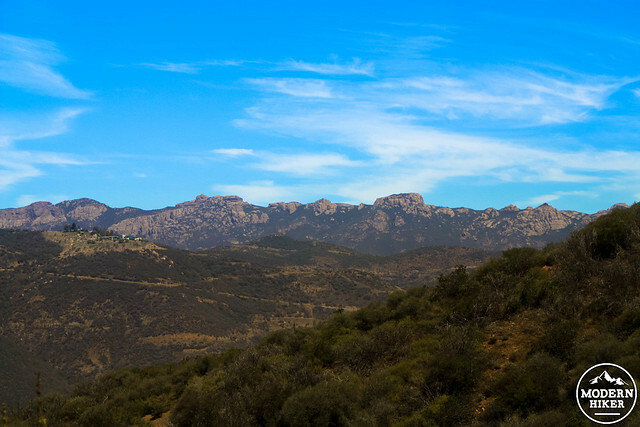 As you gain in elevation, be sure to look backward occasionally for some of the best views of the Santa Monica Mountains you’ll see anywhere. At 4.2 miles, the Ridgeline Trail continues up another steep incline. Save yourself the trouble by staying to the left, and in another 0.2 miles, take another left to rejoin the Nicholas Flat Trail and head back downward. For a slight change in scenery on the way down, take a left at 6 miles to descend on the Willow Creek Trail. This steep, narrow, switchbacking route heads down through some cactus patches before opening up to some beautiful views of the Pacific Ocean. Very good on the lower stretches, and good on the upper. There are some sections where the trail is moderately overgrown and signage is spotty near Nicholas Flat but it's all doable. 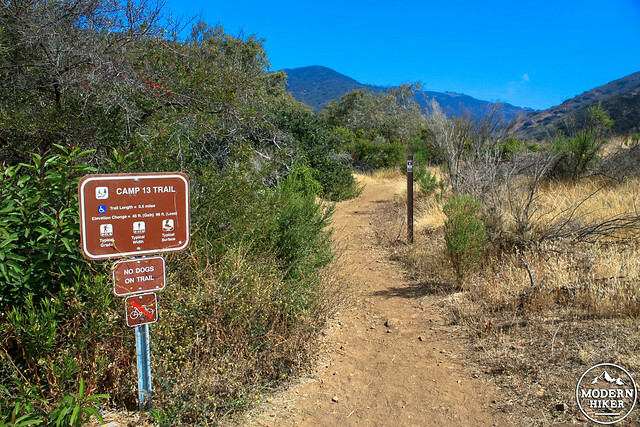 There are extensive camping options at Leo Carrillo State Park, including 135 family sites, a group site for up to 50 people, and a few cheaper hike-and-bike sites. The campground includes barbecue pits, picnic tables, restrooms, and coin-operated hot showers. 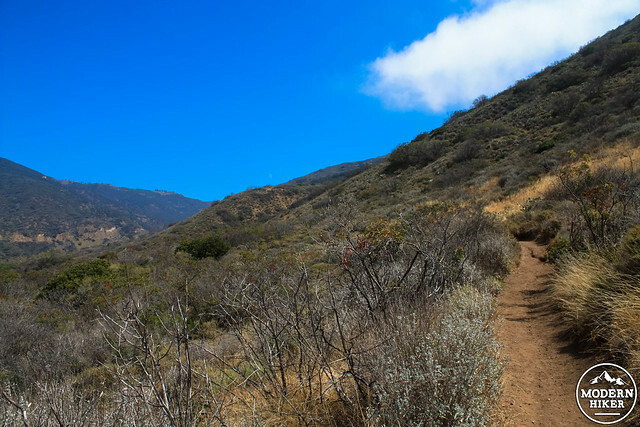 This trail is located just inside Leo Carrillo State Park, near the intersection of Mulholland Highway and the Pacific Coast Highway 19.9 miles south of Oxnard and 28.3 miles west of Santa Monica. There is paid parking inside the State Park or free parking along the PCH. If you plan on parking on the street - especially on weekends - get there early. Beach-goers are trying for those same spots. Hey Casey! I love your website! Thanks to your amazing and comprehensive trail write ups I've hiked every intermediate and advanced trail in the SM mountains. Nicholas Flat is a great hike, I completed it in two hours. I'm gearing up for the John Muir Trail in a few weeks, and I was wondering if you have any other recommendations of some good hikes to help me prepare. I should also mention I'm a young, solo female hiker so I was told to avoid the Angeles National Forest. I was told there are consistent reports of crime in that park. It's very disappointing because, other than long stretches of the recently completed backbone trail, the Angeles Forests seems to be the only park near me that offers somewhat challenging and lengthy hikes. I did Ice House Canyon to Ontario Peak, and then wanting to add length to the trip, Cucamonga Peak and the longer route back down to the trail head for a trip just under twenty miles in seven hours a few weeks ago. Since then I haven't returned for Mount Baldy because of said concern, but I was wondering if you had any advice given your many write ups of trails in that area. Should I really be concerned? Please let me know your thoughts. Thank you for this beautiful and indispensable site! Did this yesterday---it was great! I was just sitting here the other day wishing I knew about another trail in the Santa Monicas, and you provided! I cannot WAIT for winter/spring when I can see this covered in green and flowers. Speaking of which, I hope to see more plant nerdery in future write-ups. :) Trail botany is one of my favorite parts about hiking. Thanks a lot Casey! Those are some epic views of Boney Mountain, indeed! 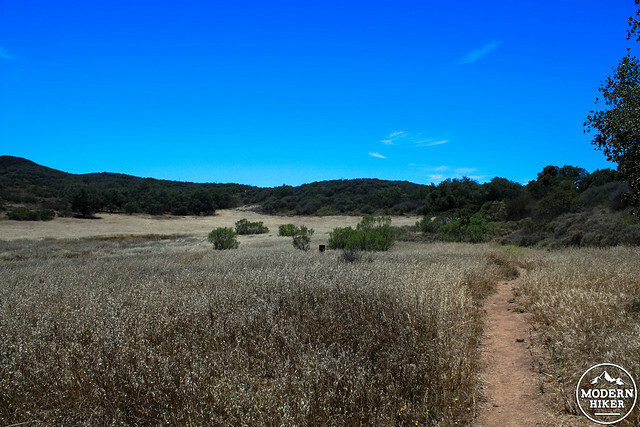 I hike up into La Jolla Valley and around the Boney ridge line quite often. Will be checking this hike out soon! Glad to hear it Rebecca! I've become an intermediate native plant nerd over the past year - I think it adds another fun layer to hiking (and, as I mentioned, gives you something to do when you're going up a long steep section!). Have fun and let us know what you think! Casey! Thanks SO MUCH for this new trail write up for the Santa Monica's! I am so stoked to check this hike out. Might even plan an overnight camping trip to really enjoy Leo Carrillo. I learned a lot about native plants I see all the time thanks to this post! You're the best!